Want a home with a condo price? This wonderful en - Want a home with a condo price? 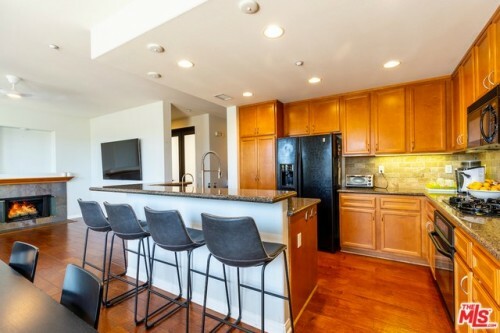 This wonderful end unit town home feels like a house! Besides a 2-car, direct entry, attached garage this unit is one of the very few that actually has a great yard large enough for BBQ-ing, dining, and enjoy the vast view. The low home owner dues provides all the amenities of condo living within the tony Westridge community - built in pools, kid's play area, tennis and basketball courts, picnic area with grills, club house. This 2-story town home has a master suite with double vanity, walk-in closet, soaking tub, large shower. Another bedroom with full en-suite bath is located on the second floor. The first floor has a third bedroom, laundry area leading to garage, full bathroom, and large storage closet. The kitchen, dining room and living room are all open with sliding glass doors to your private backyard. You'll be able to live/entertain indoors and outdoors. Must see! Welcome home! OPEN HOUSE JAN. 12th 2019 1-4 pm - Gorgeous, elegant home in a beautiful courtyard setting with lush landscaping. The rear backyard has breathtaking canyon views that can be enjoyed from the all season veranda style covered patio. This home features formal living room with fireplace, family room adjoining the large gourmet kitchen with granite counters, travertine tile back splash, with a copper farmhouse sink, and a working island including a large walk in pantry between kitchen and formal dining room. One bedroom is on main level for maid or guests across from the full bathroom. On the second level, there is a very large master suite featuring his and hers walk in closets, a dual sink bathroom with a jetted tub and separate shower and a vanity area, as well as a retreat, office,or nursery. Large laundry room with a soaking tub is in the very wide hallway, conveniently located across from the walk in linen closet.Two other bedrooms, a dual sink full bathroom, and a huge game/ play room are at the end of the hallway for family activities and entertainment.Home has many custom features such as whole house water filtration and whole house fans to save energy. A great home in a wonderful community with exceptional school district. A condo or single family residence? There are 2 de - A condo or single family residence? There are 2 detached, stand alone 2-story houses on this lot; City of Hawthorne considers them to be condos. There is no HOA and no monthly dues; only common area is the driveway. The condo being sold is the one in front. This large home has been remodeled and offers grand entrance to living room w/fireplace that is open to dining room. Eat-in area is opposite the galley kitchen - all new cabinets, counters, appliances, and raised ceiling. Eat-in area has sliding glass doors to outdoor patio perfect for your grill. Atop the stairs is the 2nd floor family room w/fireplace, master bedroom w/cathedral ceiling, en suite bath, 2 closets. 2-car parking in garage with extra storage space. The home has new windows and treatments, ceiling fans, tankless water heater, custom iron work, and more. Walk to Eucalyptus Park, convenient to LAX, Manhattan Beach, and new stadium in Inglewood...Hawthorne is the Hub of the South Bay! A great house in a great neighborhood! 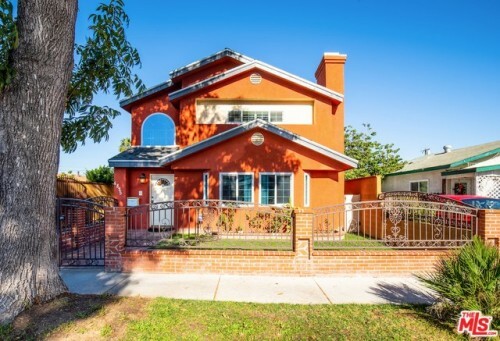 This home - A great house in a great neighborhood! This home has been loved in and the family is trading up. Move in to this gem as is or build a 2nd story with potential views. 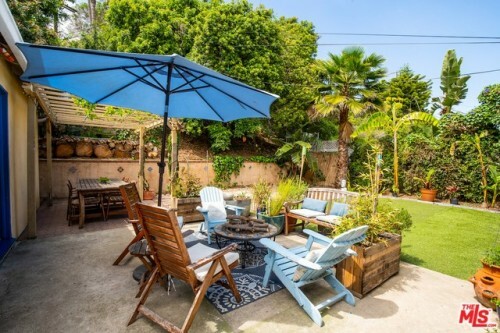 Currently the backyard has been entertainment central with several seating areas, a greenhouse, and drought tolerant landscaping. Inside, hardwood floors have been restored, central heat/air conditioning have been added, windows replaced with double paned/sound resistant windows, dishwasher added to the kitchen and a cozy gel burning fireplace has been added to the living room. The 2-car garage was converted to an office space with large walk-in closet and 3/4 bath without permits and can be easily converted back. Must see! Silicon Beach...3 blocks from the beach! 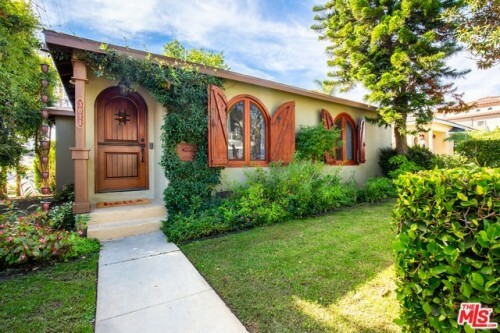 Venice Si - Silicon Beach...3 blocks from the beach! Venice Silver Triangle! Surf and sand is only a couple of minutes away. Walk to the restaurants or stop for coffee at the Square on Washington. Stroll through the Historic Venice Canals. This beautifully remodeled home is right where you want to live; expanded now offering more open space (permitted). The large lot gives plenty of space for entertaining friends under the shade of a great tree. This home is for the discerning buyer with customized upgrades too numerous to name including front windows circa 1850s Argentina, living room & front bedroom recycled Douglas fir hardwood floors circa 1950, heated Limestone floors, copper: range hood, sinks and master tub, Sub-Zero fridge w/custom cladding to match cupboards, Wolf microwave, Bosch dishwasher, over-sized marble island, family room with folding Walnut doors and Lutron shade, hard-wired security system, built in speakers, 2 tank-less water heaters, parking for 5 cars...and more!